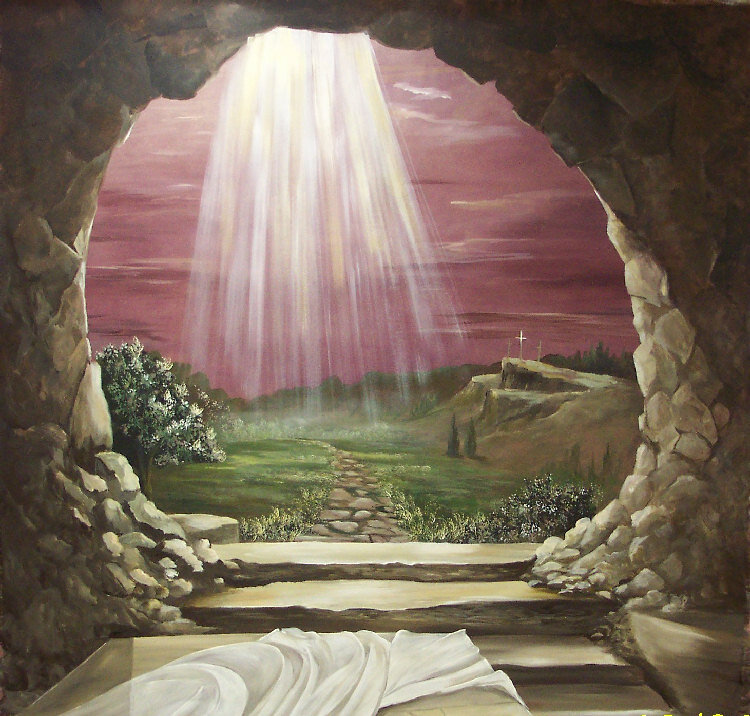 I pray that anyone who reads this will find the life the resurrected Saviour has for you. I pray you and those you love will have a blessed time, hopefully together. This Easter we will share with only one of our daughters and her family – people sparse, but a day of hope anyway. This blog has been a resurrection for me. Bumped from written newspaper I have a new medium to communicate. Since it is interactive, I have also found a growing community of spiritual people to inspire me and hold me to account. It presents a challenge, because my work keeps me out of social circulation until my days off come. I follow so many blogs now that I struggle to keep up with the reading and dialogue. And now it becomes more difficult as the yard work on our half acre town lot has started: 17 flowerbeds, vegetable garden, fruit (pears, currants [black, red, white], raspberries, blackberries, purple grapes, cherries), and almost completed surrounded by privet hedge, not to mention the lawn (including a stretch along the railway that I keep clean). I’m not complaining, though as we age it gets harder to keep up. I’m happy for what I have, humbled by it and grateful beyond words for the peace of Christ in which I get to live. Live, because Jesus lives – again! Indeed, Scriptures demand work from us, but work wins no merit. So we keep in shape to do the work simply because we want to please the One Who saves us by unmerited love and favour. Easter Blessings everyday. Amen to the harder yard work. It does get harder the older we get. I am doing exercises and stretches now just to keep in shape so I can do the work. So it just takes work to stay in shape to do work. What a paradox? Life is full of them. So are the teaching of the Great Books of the Scriptures we read.